For some reason, I am on what I call "housewife mode" this week. I started the week out running all over the place to get errands done. Then I spent a couple of therapeutic hours at the supermarket. Is it just me or is grocery shopping one of the most relaxing things you can do? 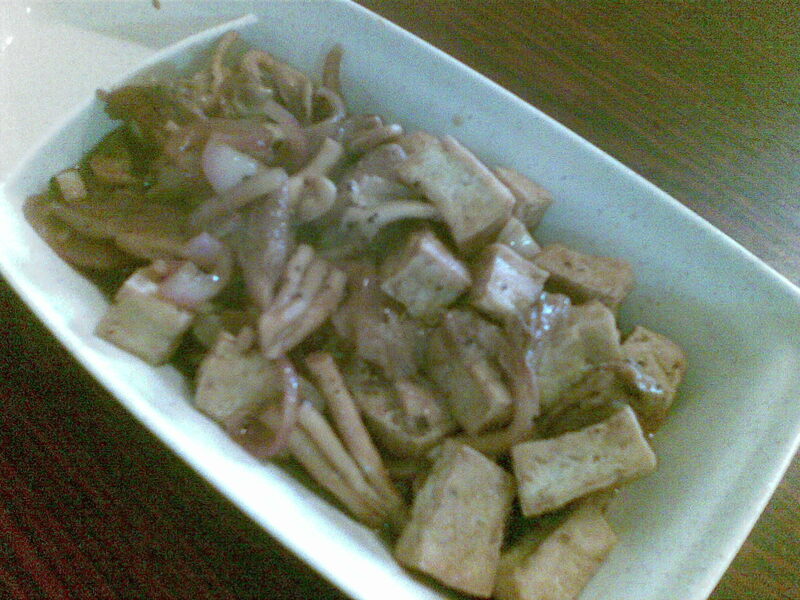 Fry the tofu in canola oil. Make sure you turn them over to ensure all sides are crisp. This will take about 4 minutes per side - medium heat. 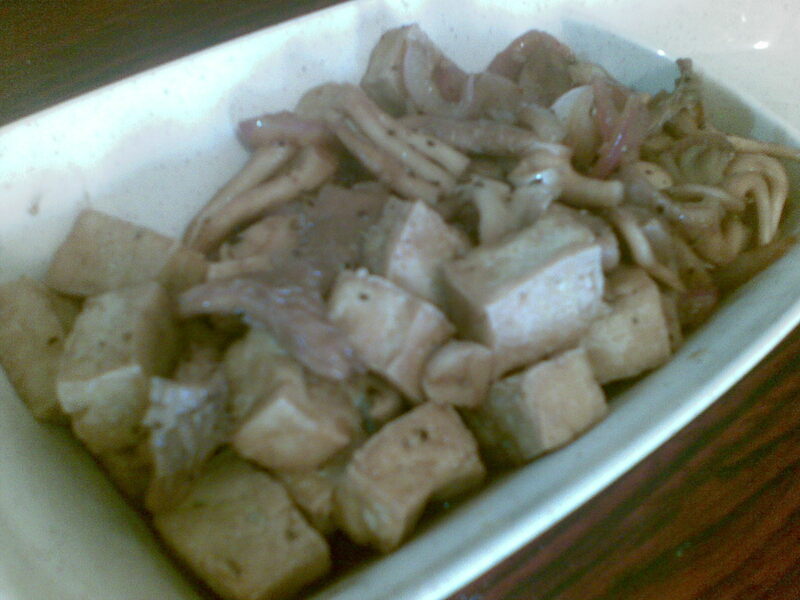 While frying the tofu, chop up the onion and garlic. When the tofu is done, place the cubes on a paper towel to get rid of the oil. Saute the onion and garlic for 3 minutes. Add the mushrooms and cover. Let this sit for about 5 minutes on low heat. Add soy sauce, salt, and pepper to taste. I have never heard of oyster mushrooms. Wonder if I can get them in the US?